I arrived to their London HQ at 6pm and was welcomed by big smiles from everyone who had been working on putting this event together. There was certainly a feeling of excitement in the air, everyone looking forward to unveiling the details of our challenge. I was handed a box of goodies to get dressed into. 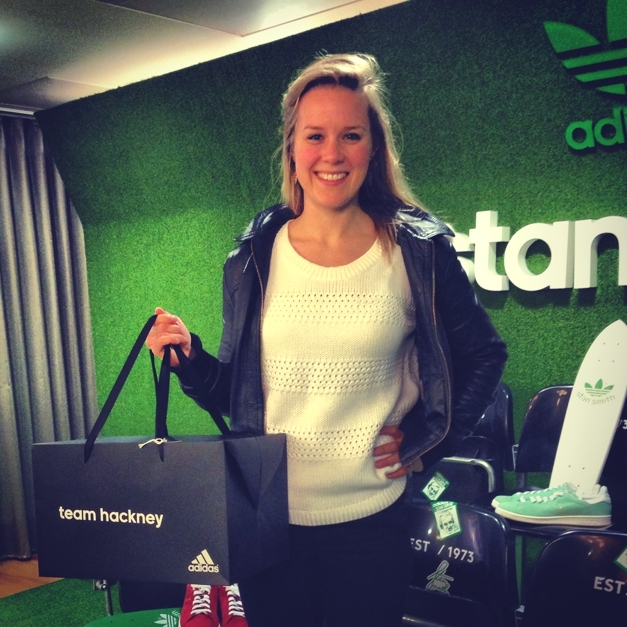 The box was labelled TEAM HACKNEY and had my name on the label. It felt special. I couldn't wait to open the box and see what was inside! The Adidas team were keeping their cards to their chest about what lay in store which added to the feeling of suspense and energy in the room. As the other 15 girls and boys arrived, we figured out that we were in 4 teams - Hackney, Ladbroke Grove, Camden and Peckham. 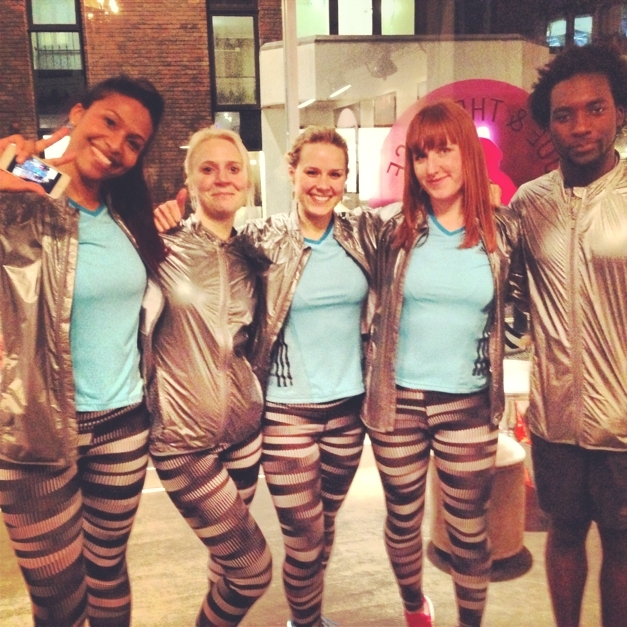 Each team of 4 was dressed in matching kit from Adidas's new Energy Boost range. Loved it! We were driven off to Hackney and dropped off outside a fruit and veg store where our team leader Diana pulled a gold envelope from her bag and unveiled the challenge ahead. We had a 4 mile run with 4 challenges, at each check point we would find another gold envelope with the clue for where to head next. Our route took us through Hackney, up to Hatton Gardens, through High Holborn and onto Carnaby street where we went for the sprint finish. In our team we had Ernest from @yinnyangtweets, Speedy Becs (go running with her and you'll see where her name comes from) @speedybecsrun and Rhalou, Editor of Sport Stylist @sportstylist. We chatted away as we ran through the streets of London. Everyone was having fun. 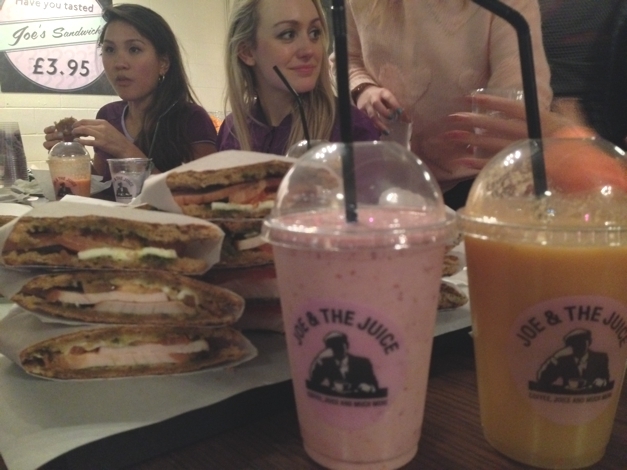 After sweating it out for the sprint finish, there were more treats - juice and delicious rye bread paninis from Joe and The Juice. A fun evening, met some lovely ladies and felt honoured to be there. Also totally love my new Energy Boost kit. Thanks Adidas!